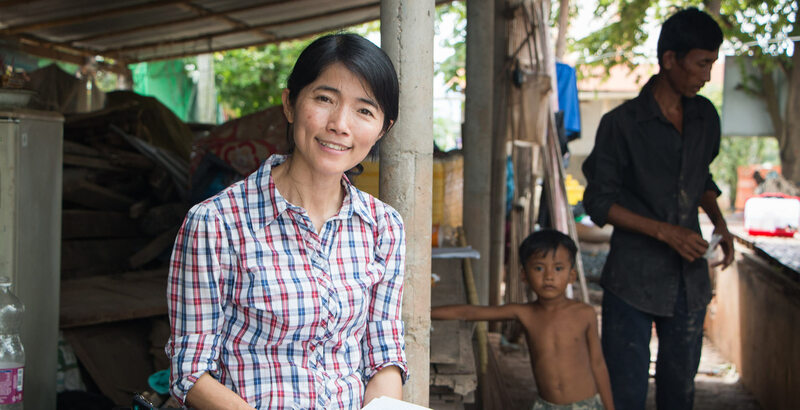 Find Out How Participatory Guarantee Systems (PGS) Helped Ms. Sieng: An Organic Entrepreneur in Cambodia. In Cambodia, food safety is a serious concern for many consumers and many foods are contaminated with pesticides or other pollutants. 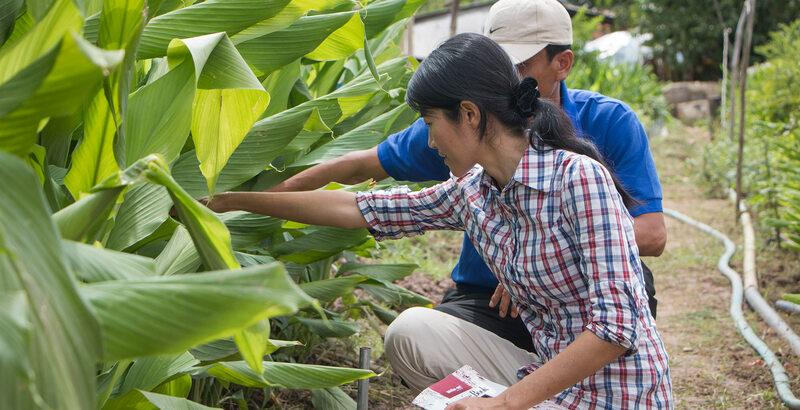 Numerous Cambodian farmers live in rather poor conditions, while at the same time, more and more consumers are looking for nutritious and safe, locally-produced food for which they are willing to pay farmers a fair price. 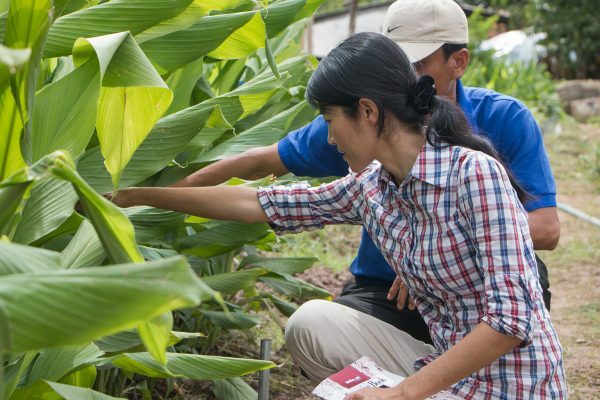 Ms. Bun Sieng is an agronomist who has worked in rural communities for years. In 2012, she decided to start a business in order to link farmers to markets and give more people access to high- quality, locally produced vegetables. Like many entrepreneurs, it was not easy to start my business. 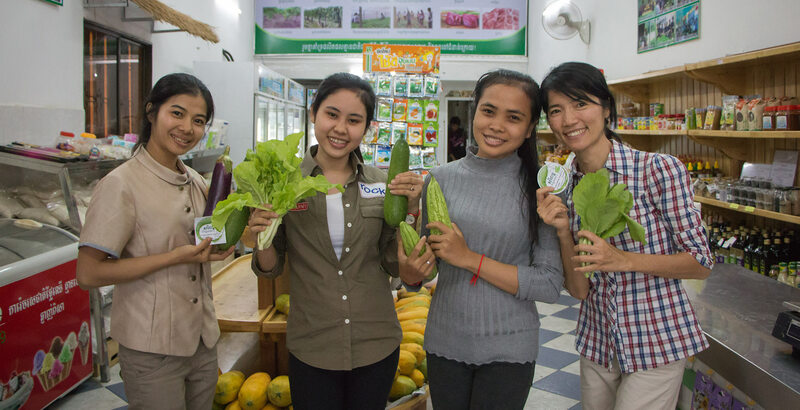 In the beginning, I sold chemical-free vegetables sourced from local farmers at a market in Phnom Penh. But people who shopped there were not willing to pay the higher price, so I sent my team to sell in front of a gym, where people are more interested in health. We sold out in half an hour! But I only had a small range of products, and there was not a consistent supply, so I had to put the business on hold. In 2014, the Royal University of Agriculture started a project to support domestic vegetable production. 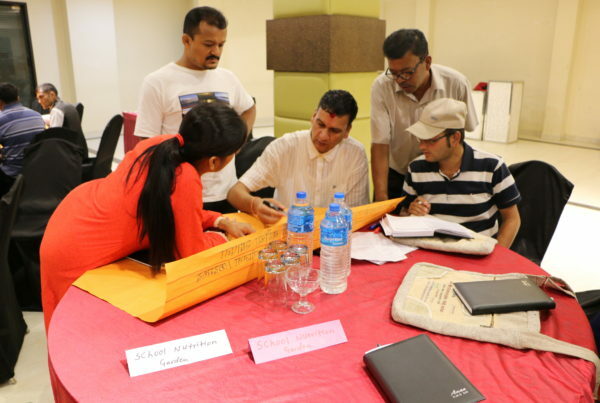 The project provided training on compost making and supported farmers in purchasing net-houses. When I heard that they were looking for green shops to join, I decided to get involved. Net-houses protect the crops from insects and other pests. They reduce loss and make it easier to plan and ensure consistent supply. This was the opportunity I had been waiting for. 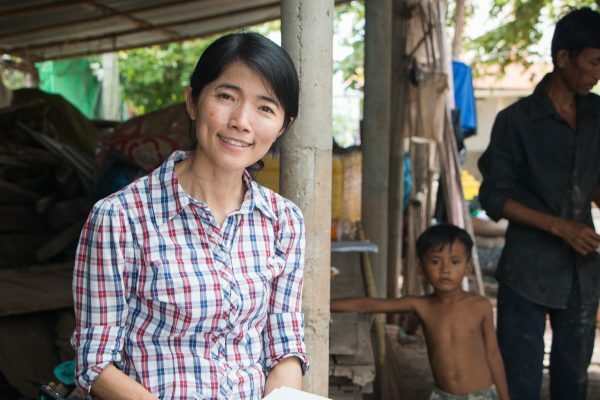 I found several farmers close to Phnom Penh who joined the net-house initiative. They became my suppliers: I bought their surplus products and agreed to pay a fixed price regardless of market fluctuations. In exchange, the farmers let me get involved with production planning, to make sure production matched the demand and needs of the market. In 2015, I opened my first green shop and started supplying other shops and supermarkets in Phnom Penh. Things went so well that I decided to leave my job and focus full-time on my business. In 2016, I learned about Participatory Guarantee Systems (PGS) at a training organized by FAO and IFOAM – Organics International. PGS enable smallholder farmers, who cannot afford third-party certifiers, to label and sell their products as guaranteed organic. This means they can sell their products for a fair price, and consumers can trust the food is free from harmful inputs. 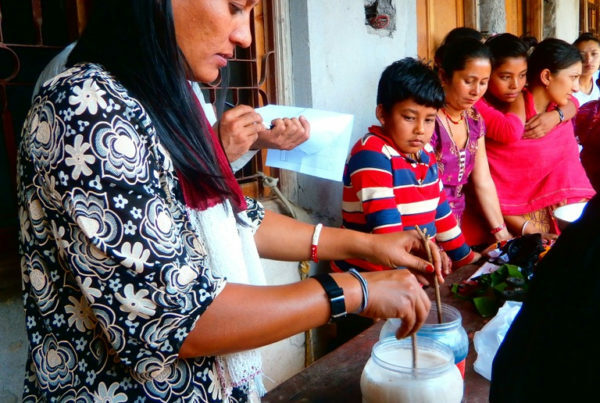 Furthermore, a global study carried out by IFOAM – Organics International on interactions between traditional social processes and Participatory Guarantee Systems (PGS) noted that “Women, in particular, are directly empowered through Participatory Guarantee Systems, as they receive equitable access to training and technical support in the PGS where they are involved. PGS enable smallholder farmers, who cannot afford third-party certifiers to label and sell their products as guaranteed organic. When I told the farmers about PGS they were willing to give it a go because they trusted me. 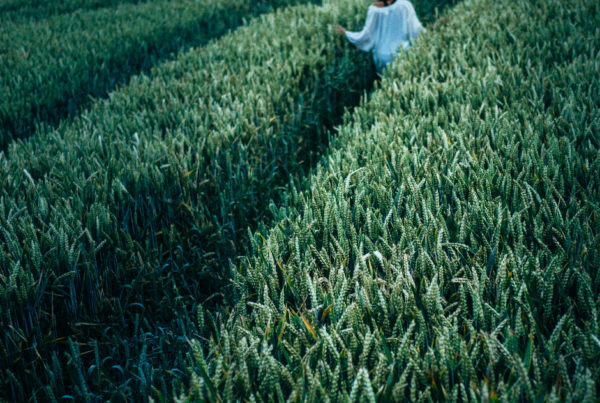 Even though the farmers had already stopped using chemicals, many of them had to change and improve their practices to comply with organic standards. For instance, many had to improve their soil management practices or introduce buffer zones to stop chemicals from neighbouring farms entering their organic plots. 87 farmers now supply me with 50 kinds of vegetables and seasonal fruits, and I have 16 full-time staff in the urban area. I think there is a lot of potential for the organic market, but it is a challenge to ensure consistent supply, and it takes time to find new farmers to join the PGS and for them to change their practices in order to start selling their produce as organic. This story is based on the result achieved through an FAO pilot project, Technical Cooperation Programme (TCP/RAS/3510) “Small-Scale Farmer Inclusion in Organic Agriculture Development through Participatory Guarantee Systems (PGS)” and the joint collaboration with IFOAM – Organics International, Asian Development Bank (ADB), Earth Net Foundation (ENF), Cambodian Center for Study and Development in Agriculture (CEDAC), Center for Organic Development (COD), Caritas Cambodia and Natural Agriculture Village (NAV).